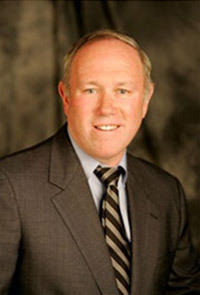 John J. Coleman, III, M.D. Dr. Coleman is Chief of Plastic Surgery and the James Bennett Professor of Plastic Surgery at the Indiana University School of Medicine. Dr. Coleman was born in Boston, where he attended Harvard University for both undergraduate and medical school educations. Dr. Coleman subsequently trained in general surgery and plastic surgery at Emory University in Atlanta. He completed a fellowship in surgical oncology at the University of Maryland. He is certified by the American Board of Surgery and the American Board of Plastic Surgery. Dr. Coleman has a long and distinguished history of involvement with academic medicine. He served in various capacities with the American Society of Plastic Surgeons, the American Board of Plastic Surgery, the American Association of Plastic Surgery, the Plastic Surgery Educational Foundation, the Plastic Surgery Research Council, the American Board of Surgery, and the American College of Surgeons. Dr. Coleman served the American Society of Head and Neck Surgeons as President in 2006-2007.